These edible gold covered Oreos are so much fun. 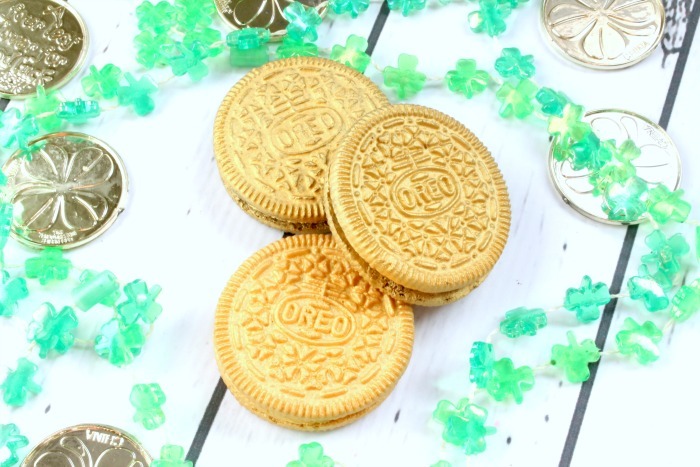 Whether you’re having a Pirate party or just want a cute treat for St. Patricks Day, I guarantee the gold covered Oreos will be the food that everyone remembers. In a Hurry? Buy the Edible Gold Spray Here. These edible gold covered Oreos are just as delicious as normal Oreos. Actually they are probably more delicious, because they are covered in GOLD! Not real gold, but edible gold. But in all honesty, the edible gold dust doesn’t have a taste too it. Your gold covered cookies will taste just like it normal. They will just be a whole lot funner to eat. 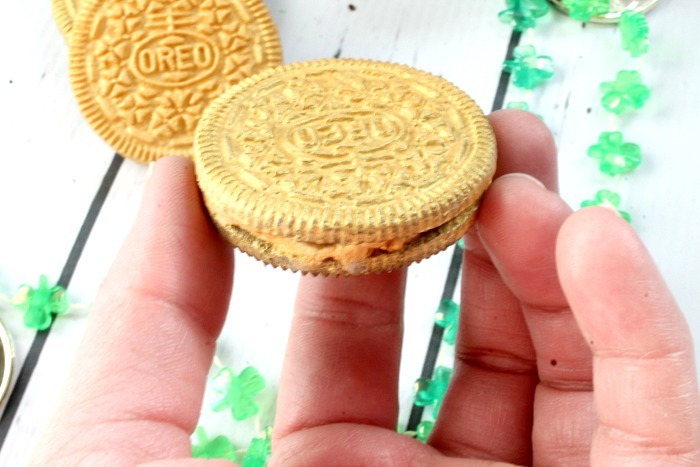 There are two main thing that you’ll need to make these edible gold covered Oreos. 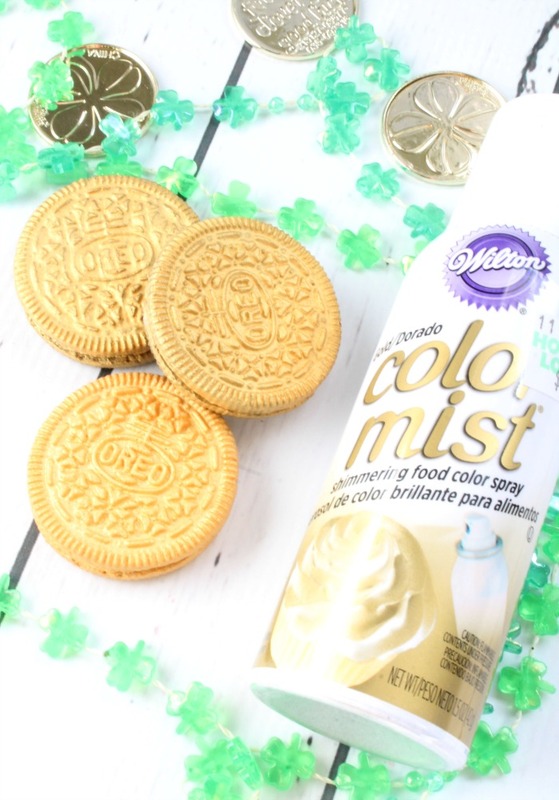 Edible gold food spray and a big package of Oreos. What Kind of Cookies Should I Use For These Gold sprayed Oreos? As you probably know there are a million different kinds of Oreo cookies. For these gold sprayed Oreos I used both the original chocolate Oreos and the golden Oreos. You can use which ever kind is your favorite but remember the darker Oreos are going to require more gold spray to cover them completely. I also used some of the Thin Mint cookies and I loved the way the color turned out on them. Where Can I Buy the Edible Gold Spray? Finding the edible Gold spray can be tricky. Apparently this is a pretty popular color so I had a hard time finding the gold color in stock. I ended up purchasing a can of edible gold spray on Amazon for a great price. Amazon tends to run out to, so if they are out of stock just keep checking back. Also you can check for the gold spray at your local Hobby Lobby or Michaels store. Edible Gold Covered Oreos are great for Pirate Parties! When my son turned two we had a huge pirate party for him. Looking back I would have loved to have made these edible gold covered oreos for the party. 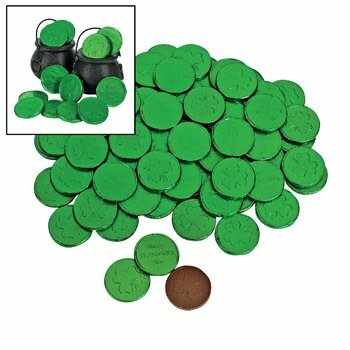 You could have them as a dessert or pass them out as party favors at the end. 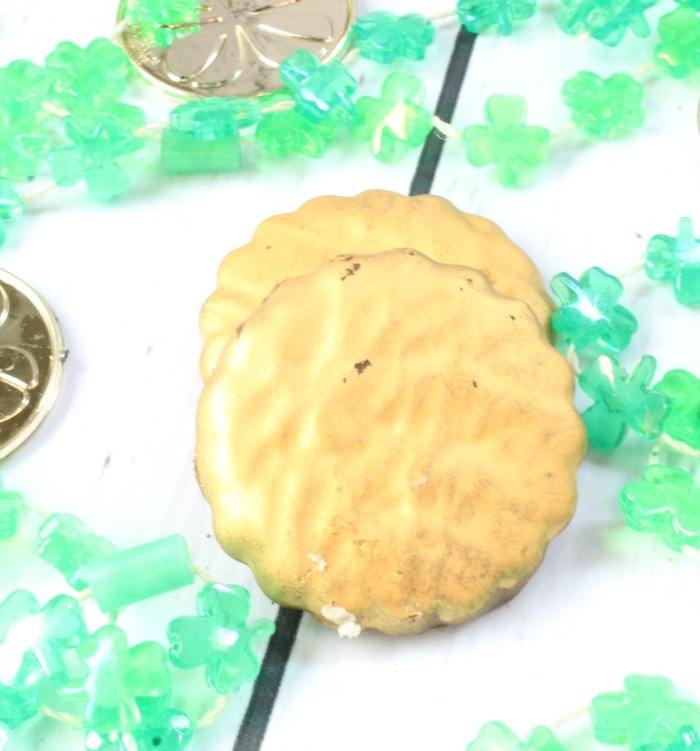 The options are endless on how you could incorporate these gold covered Oreos into your pirate party. 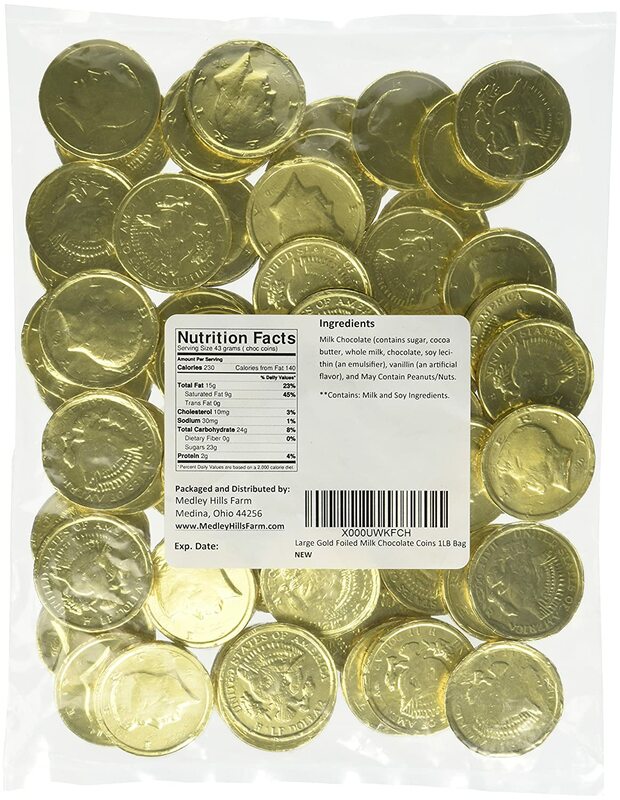 Check out these cool Chocolate gold coins below.